Canal Boat Club Rentals- Additional Benefits. 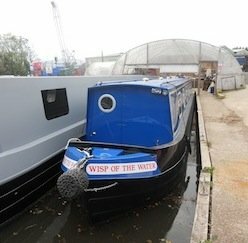 "We have just returned from a great week onboard Wisp of the Water (from Worcester Marina) and wanted to take the opportunity to say how absolutely delighted we were with the new boat design"
"This is the first time in a dozen years that we have had to forego our holiday on the canals. However, if we should be in a similar position in the future, we would not hesitate to seek your assistance. Perhaps we were just fortunate, but you took away any potential hassle . You, personally, simplified everything, kept us appraised of the developments and were approachable and very professional in all aspects." As a member of the Canalboat Club you can take advantage of other options for using your allocation every year, which is great for those that do not want to go Canal boating every year and fancy a change without having to pay exchange fees through exchange companies like RCI or Dial an Exchange. Canalboat club members from all time bands- (red/white/blue) can swap their Canalboat for a week at the Hever Hotel in an executive double room (sleeps 2) , located in Edenbridge in Kent. Set in the beautiful Kent countryside and built on the lands originally forming part of the Hever Castle estate, famously owned by Anne Boylen wife of Henry VIII. An 80 bedroom boutique hotel is just a few minutes walk from Hever Castle and adjacent to a 27 hole Championship Golf Course. Room Amenities: Double bed, Luxury linen, Large freeview television,En-suite bathroom, Complementary toiletries, Bathrobes, Free Wi-Fi Coffee and tea making facilities, Telephone, Hairdryer The Hotel’s fine dining restaurant is the ideal place to relax after a day’s conferencing, shopping, sightseeing or golf. Facilities include a Fitness Room and Sauna, tennis court, as well as complimentary bike hire to explore the grounds and local area. Hever Hotel hosts a range of bars and lounges and a pool table to. All of this makes the Hever Hotel the ideal place for a short break or longer stay. Canalboat club members from all seasons (Red/White/Blue owners) can swap their Canalboat club allocation for any time of year subject to availability, for one of the ABC holiday cottages which are all canal side, offering some truly stunning walks featuring varied wildlife and heritage. From Aqueduct Cottage in the Brecon Beacons there are fantastic walks through the Welsh mountains. If you book one of these apartments you just pay the difference in cost which for most times if the year is just a straight swap. No utility fees to pay on arrival. If you want to go boating in areas where we do not have Canal Boat Club boats you can do so with www.abcboathire.com. You will get a 25% discount and the ability to exchange your Canal Boat Club week towards the cost of the boat rental. ABC have marinas throughout the UK, like Falkirk in Scotland , or Reedley marina on the Leeds & Liverpool Canal, or Goytre on the Brecon Beacons in South Wales, or March Marina on the Fens in Cambs. For all these options please contact the team at Abacus Reservations who will make the booking for you.